How would you feel if someone from your hometown turned out to be a serial killer? What would you think if sixteen different people from your hometown became serial killers? 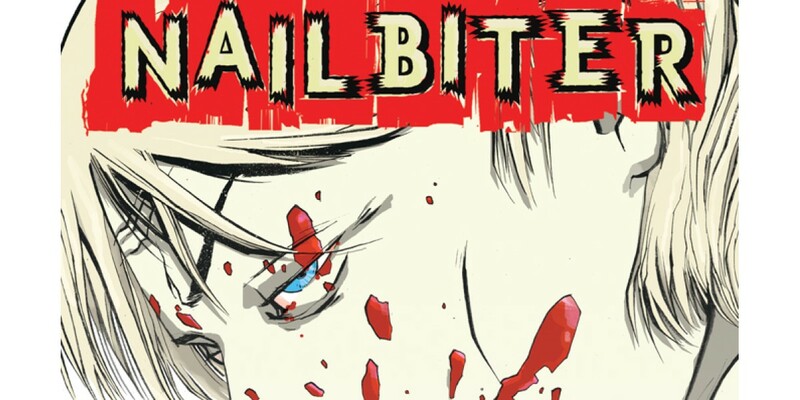 In NAILBITER, debuting May 7, artist Mike Henderson (MASKS AND MOBSTERS, TMNT) and writer Joshua Williamson (MASKS AND MOBSTERS, Captain Midnight) explore Buckaroo, Oregon, a town that keeps unleashing serial killers into the world, and NSA agent Nicholas Finch, who must not only figure out what happened to FBI agent Charles Kohl, a friend who disappeared in Buckaroo, but solve the mystery his friend left behind before anyone else dies. Williamson and Henderson answered a few questions about their upcoming series. Enjoy the interview and the preview below. 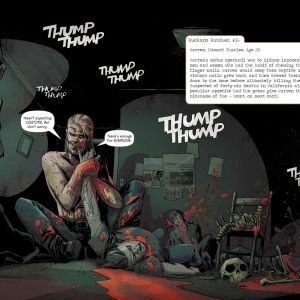 Josh, you gave a pretty horrifying and stirring pitch for NAILBITER at Image Expo. Can you replicate some of that magic for us? What is NAILBITER? That always stuck with me. We talk a lot about the families of the victims but never the families of the serial killers. The world they left behind. The family that has to find out that someone they loved was killing people. The harsh truth is that it destroys those families. And I always wanted to explore that. That’s why I created NAILBITER. Edward Charles Warren would only kidnap people who chewed their nails and would keep them captive, chewing their nails down for them. After the nails were all gone and Warren was full, he would kill them. Once Warren was captured it was discovered that he was from a small town, Buckaroo, Oregon, that had also had fifteen other serial killers from there. How did such a small town give birth to and raise sixteen of the world’s worst serial killers? What happened there? That is the mystery that we are trying to explore with NAILBITER. Mike, what's the appeal of working with Josh? Mike Henderson: The (sterling) quality of his writing aside, the appeal is all about the working relationship. Some good ones thrive on tension and competition and headbutting, but ours is smooth and intuitive and ultimately somewhat less stressful for it. In a deadline oriented business, that goes a long way to avoiding grey hairs and an early grave. 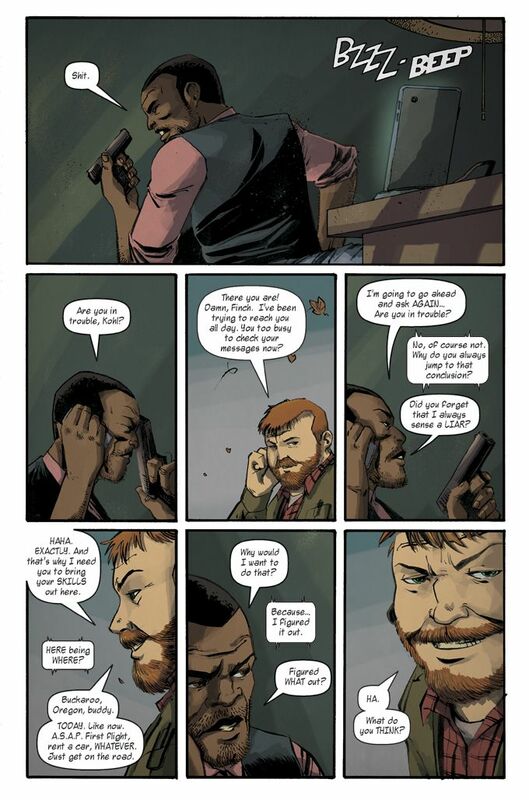 You're working with your MASKS & MOBSTERS collaborator Mike Henderson on this series. What's your favorite aspect of Mike's work? JW: His creativity. His eye for page layout and design. 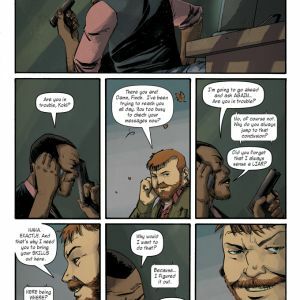 After getting the art on the first chapter of MASKS AND MOBSTERS I knew immediately how lucky I was to be working with Mike. 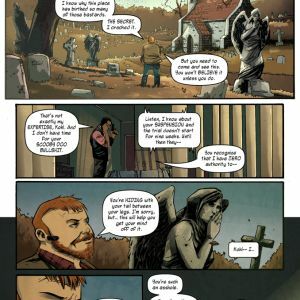 Not sure how he does it, but Mike has the uncanny ability to read my scripts, then read my mind and then come up with pages and art that is way better than what I was thinking. Mike's talented with ink, and he gives everything this noir sense and value that really speaks to me. If I wasn't working with Mike, I still know I’d be buying whatever book he was working on. Over time I feel like Mike and I have developed a kind of short hand in talking about the pages and story. Working with Mike, there is a trust there that I know I can give him very little and he will do something amazing with it. Is it cheesy to say that Mike just gets me? It's set in Buckaroo, Oregon. What's the appeal of Oregon as a setting, instead of the more popular metropolises you usually find in serial killer tales? JW: The Northwest already has a sort of history with serial killers. So that seemed natural. BUT when I first started to come up with NAILBITER I was living in a small rural town far outside Portland, and the town had this creepy vibe to it. It seemed like the right locale. Also the rain… it rains a lot in the Northwest and I felt like the rain itself could be a character in our book. A sign of things to come. A serial killer story is several orders of magnitude different from your collective work on MASKS & MOBSTERS. Mike, how are you approaching the art? Are you going full grisly, or do you want to leave a little to the imagination? Josh, how would you describe the tone of the book? MH: Personally, I find what doesn't get shown to be more effective in the horror genre, but with NAILBITER we tend to take it on a case by case basis. Creepy sets the mood for us, but NAILBITER isn't quite what you'd call a slasher story, so picking and choosing our grisly moments really helps to sell it when we need it. JW: Twin Peaks. It’s been said that Twin Peaks is its own genre and that’s what we’re going for here. A slow burn thriller that builds on its characters and the town. 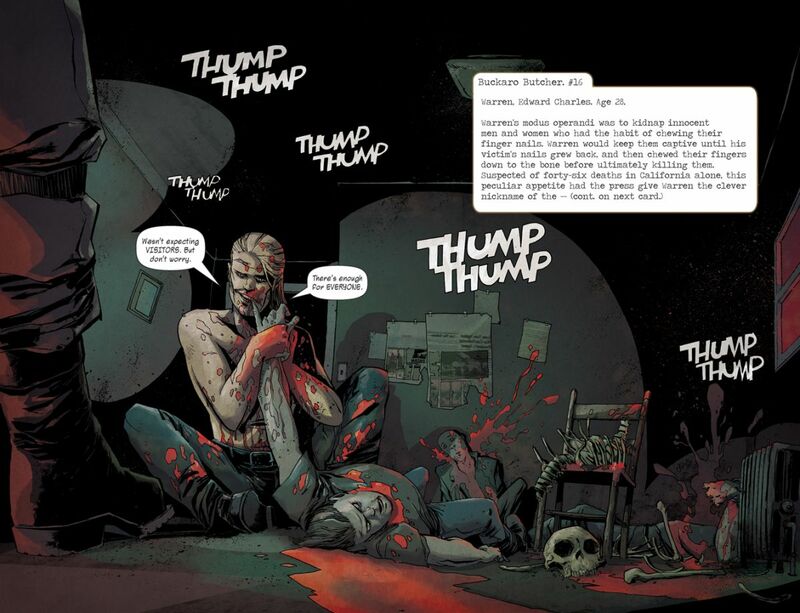 It’s a different type of thriller that isn’t normally seen in comics. But at the same time we wanted it to have that Se7en mojo. That creepy thing that bugs and haunts you later. Images that stick with you after you read it. That might just scare you when you turn the page. NAILBITER is going to be a lot of build up. 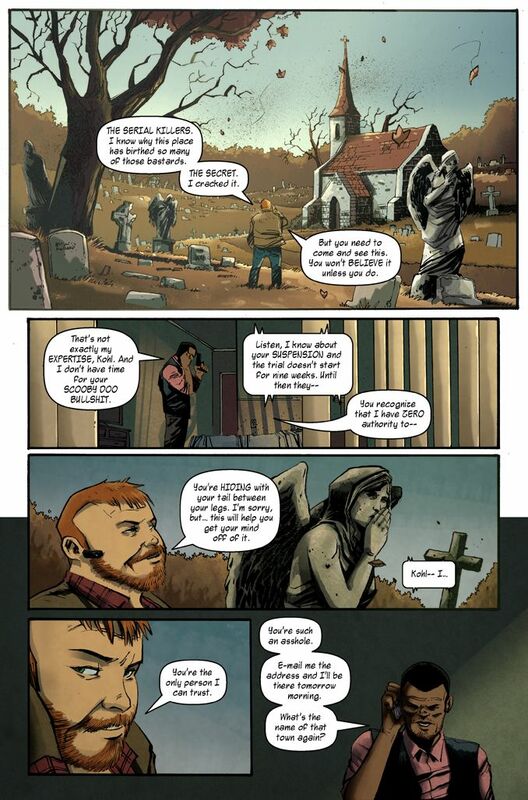 We’re trying to play with the comics medium and horror a bit. Mike, has Josh asked for anything you did not want to draw because it was too creepy? MH: Not yet! I think we're of one mind, though, in the lines we've drawn in our heads as to what we would and wouldn't show in NAILBITER. I suspect if either of us goes too creepy and has to be dialed back, it'll be me.